McCall's Air Conditioning & Heating is proud to serve the Chandler community! About Chandler, AZ - Happy to be your hometown Heating & Air Conditioning Contractor! Chandler is a city located in Maricopa County, AZ, and it is a prominent Phoenix suburb bordered by Tempe and Mesa. As of 2012, the total population was around 240,000, and the major employers in the city include Intel, Bank of America, and the Chandler School District. The climate of Chandler is known for its warm winters and hot summers, and the high temperatures in the summer are some of the highest in the United States. 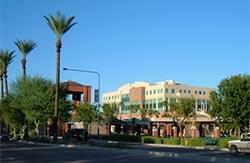 Chandler is home to a variety of attractions that may interest residents and visitors. Some of the major points of interest include the Firebird International Raceway and Airworx Trampoline Center. This city is home to the annual Ostrich Festival, and the Chandler Center for the Arts is another popular destination. Other cultural sites like the Holocaust and Tolerance Museum and Arizona Railway Museum are also located in Chandler.